It’s funny to think about, but modern technology wouldn’t even exist if it weren’t for the keyboard. We use it every single day, yet we take it for granted. That’s a bit sad, isn’t it? Here are some facts that you may not have known. 1. QWERTY is the least efficient keyboard layout. On average, QWERTY requires 50% more movement than Dvorak and 80% more movement than Colemak. In other words, you really should learn a different keyboard layout A History of Keyboard Layouts, Is QWERTY Lagging Behind? A History of Keyboard Layouts, Is QWERTY Lagging Behind? QWERTY is over 100 years old. It's outdated and outclassed by several alternatives, yet it's still the most popular keyboard layout in the world. How did we get here? Read More . 2. When typing, the fingers travel approximately 1 mile for every 10,000 words. This is assuming the QWERTY layout, proper typing skills, and this website’s methodology. 3. Non-Latin keyboards have multiple layouts, too. For example, Koreans may encounter Dubeolsik and Sebeolsik layouts while Arabic layouts may differ depending on whether the keyboard is Windows- or Mac-based. 4. Keyboards are 5x filthier than toilets, mainly because people neglect proper keyboard hygiene. This is why you should be cleaning your keyboard A Spring Cleaning Checklist For Your PC Part 1: Hardware Cleaning A Spring Cleaning Checklist For Your PC Part 1: Hardware Cleaning With the arrival of Spring in the Northern Hemisphere, houses across the globe get a nice cleaning to rid them of dirt and clutter that has accumulated over the past year. Dust and junk also... Read More at least once per year, but once per month is even better. 5. Hackers can track every keystroke you make. Keyloggers are a real threat Don't Fall Victim to Keyloggers: Use These Important Anti-Keylogger Tools Don't Fall Victim to Keyloggers: Use These Important Anti-Keylogger Tools In cases of online identity theft, keyloggers play one of the most important roles in the actual act of stealing. If you’ve ever had an online account stolen from you - whether it was for... Read More to data security, and they can either be installed programs or plugged-in devices. If a keylogger infects you, every keystroke gets collected — which can compromise bank accounts, credit card numbers, and important passwords. How many other interesting keyboard facts do you know? Share them with us in the comments! Explore more about: History, Keyboard. You don't need to be able to type faster than your thoughts go out of your mind... QWERTY is good enough for creative works, where you think while you write. Another thing is if you are an operator transcribing messages, but scanners and OCR could be even faster. Some people think really fast! But you're right, lol. For creative stuff, speed doesn't matter much. But I believe there are studies that show Colemak puts less stress on your wrists and fingers than QWERTY, so that's another potential benefit! "In other words, you really should learn a different keyboard layout." Unfortunately the vast majority of keyboards are QWERTY so when people learn to use a keyboard, they learn QWERTY. How many man-centuries will be wasted re-train ing people to use the "more efficient" Dvorak and Colemak? True, true. We should start teaching kids to start with Colemak, yet we're still on QWERTY with them too. We're stuck for good, probably. In the US there are two problems with that: 1) Of the 320 million inhabitants, 319 million have QWERTY imprinted on their genes, 2) Teaching typing in schools went out with gas lamps. Of course, there is keyboarding (is that something akin to waterboarding?). As far as key loggers are concerned I use Zemana Antilogger Free. Works great! As far as learning a different keyboard layout, forget it. I learned the QWERTY keyboard layout back in the '70's and my mind was flexible back then. I don't think it's trainable anymore! HA! HA! I'll just have to be slower than the others you mentioned. Maybe not as efficient, but it'll get the job done. Thanks Dennis, Zemana looks good! Getting to sound like a broken record again,but barring plugged-in devices,using a sandboxed browser is an excellent defense against malware,including key-logging software. Thanks Michael, that'd definitely a good point. Sandboxing is always a smart move when possible. "1. QWERTY is the least efficient keyboard layout. On average, QWERTY requires 50% more movement than Dvorak and 80% more movement than Colemak. In other words, you really should learn a different keyboard layout." True, juggling two sets of muscle memory can be frustrating for a while. It's too bad the world is too engrained in QWERTY! 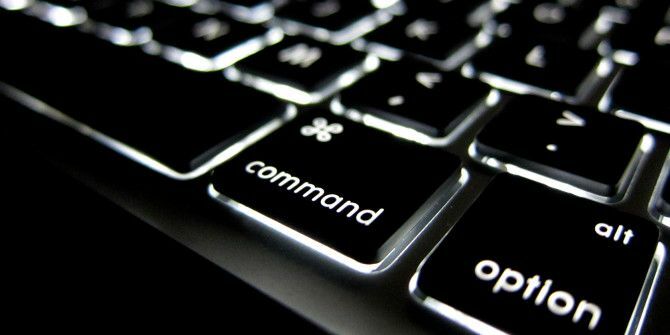 Giving commands via keyboard is also faster than clicking, and not just because your fingers can execute hot keys faster than finding the right place to click. The computation is actually quicker because the OS doesn't have to take the extra steps to figure out the coordinates of your pointer. Another benefit is that operating systems are more capable of queueing keyboard commands. So if you type faster than the system can rerender the graphics, it's no problem. In fact, sometimes programs will skip intermediate render states and just jump to the end. This type of queueing isn't permitted on mice because it inherently needs the item already on screen for you to click it, leaving you to wait through every screen. Thanks ckrivik, I wasn't aware of that.